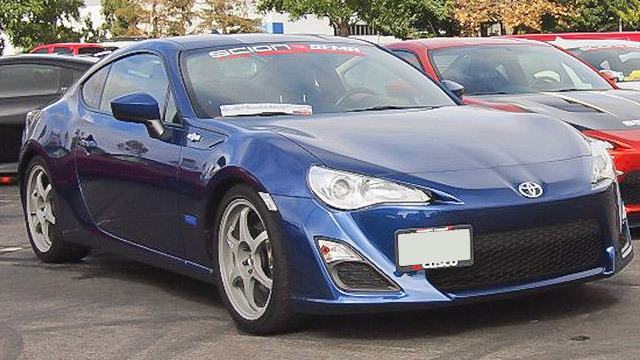 Fremont Auto Center provides Scion service and repair, even though Toyota has discontinued Scion as a separate brand. At Fremont Auto Center we continue to support Scion owners - our nationally ASE certified technicians will provide your vehicle with all the repairs and services it might need. You can expect your Scion to serve you well for many years – like any vehicle made by Toyota. To help it, we recommend regular oil service – it not only extends the life of the engine but also allows us to perform a complimentary health assessment of your Scion. If we find anything that requires your attention – we will let you know, explain in plain English what needs to be done, and we will also help you to prioritize the repairs. Fremont Auto Center is a full-service Fremont repair shop, so in addition to Scion manufacturer recommended services, we provide advanced diagnostics, and major repairs, including engine and transmission repairs. A short list of repairs and services we offer: coolant leak repair, fuel pump repair, brake repair, brake pad/rotor replacement, cv joints, air conditioning repair, AC recharge, serpentine belt replacement, water pump replacement, clutch repair, shocks and struts, evap leak, timing belt/chain replacement, emissions problems, electrical system repair, radiator replacement, exhaust system issues, and of course, oil leak repair. We can also diagnose the “check engine light” and perform indicated repairs. In most cases, repairs can be completed the same day. Bring your Scion to Fremont Auto Center, and you will experience superior customer service as well as our friendly staff. Calls us to make an appointment.